All right…don’t get your knickers in a twist. There’s reasons for that, and if you’ll just calm down a second I’ll tell you what they are. First off, romance heroines are strong women. That’s right–tough, inside and out. They’re also smart enough to spot a sniveler a hundred yards off. So of course – and here’s the logic – a strong and smart woman is not going to be looking for a man weaker than her. It just wouldn’t make sense, because if he was, she’d barely give him the time of day. She’ll be looking for her equal at least, but more often than not, she’s looking for someone to knock her off her feet. He can’t be anything less than an Alpha Male, someone powerful, smoldering, unrepentant. And looks alone aren’t enough, because our savvy heroine can get anyone she wants with a crook of her little finger. Her man, in any form he takes, has to be everything she’s looking for plus. Plus equaling that inimitable quality only she can define, and recognize the moment she meets him. Because when she collides with someone who can actually best her, it’s such a mind-blower she’s instantly intrigued, whether for good or for bad, for love or for hate. And from there, the chase begins. I can hear you saying, but it’s not real. Most men have foibles, shortcomings, are far from perfect. But this isn’t the real world, dahlings–this is fantasy. Yet in so many ways, it isn’t. Fact or fiction, real life or not, don’t we all realize something in our object of affection that no one else can? Aren’t we privy to insider info maintained for our eyes only? Of course we are. Because only when we’re in love do we open up our hearts, to share the things no one else can see, to an enraptured audience of one. Who would want it any other way? Readers, do you enjoy strong heroines and even stronger heroes? Who are some of your favorites? Have you read any Avon Impulse titles yet? Haven't read any Avon Impulse releases yet. I agree that a strong heroine needs a strong hero. 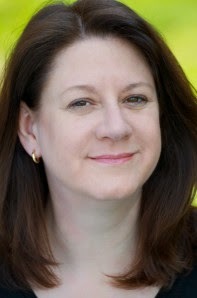 Julie Garwood's heroines are good examples. Even her historical heroines who are in cultures that see women as subservient, have inner strength that helps them survive abusive and dangerous situations. A quiet strength is still strength and something a hero can see and admire. I haven't read any Avon Impulse yet. But I will be doing so. I love this cover.I'd love to read about the outcome for Rex and Charlotte.Thanks for the post.One heroine would be Eve Dallas from the In Death series by JD. Robb. Hi Gwen .... I like the way that you think. 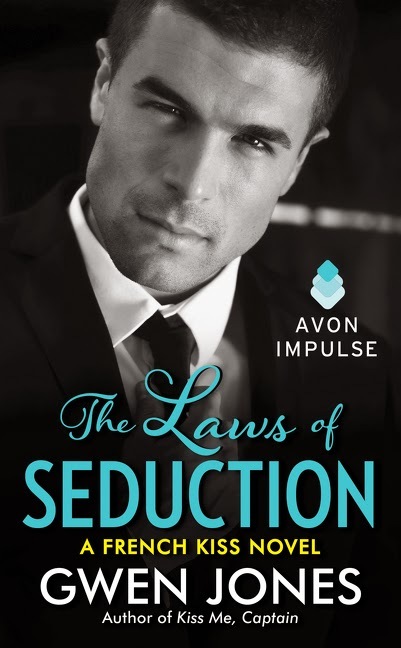 I just downloaded 'Laws of Seduction' to try (only 99p) .... I hope it works as a stand alone. Most of my favourite authors have written strong heroines with matching heroes: Amanda Quick, Mary Jo Putley, Catherine Anderson, Nora Roberts, Elizabeth Lowell .... list is endless. As most romance readers are female, and I'm sure that most males would like an alpha hero, could it be that a more submissive heroine is needed to attract more male readers? Yes, I have read Avon Impulse before and enjoyed them. I really like Wanted Wife and look forward to this book. Strong characters have always been my favorite. As to Avon Impulse - I don't have a clue lol. Strong heroines & stronger heroes sounds just about right! One couple that comes to mind is Daphnie & Rupert in Mr. Impossible by Loretta Chase. Another one is Jessica & Dain from Lord of Scoundrels, also by Loretta Chase. In both cases, the characters are strong, but have an insecurity that makes them relatable.